Blended with the highest quality soy wax and essential oils, this shimmering candle has a fruity sugar berry and wild mint mojito scent; the wax is set in a glass jar with the sentiment 'Sparkle Everyday' printed on the front in elegant silver handwritten lettering, which is then perfectly packaged in a beautiful silver gift box with the same sentiment title. This feel good fragrance is sure to ensure a little luxury everyday, perfect for a gift. 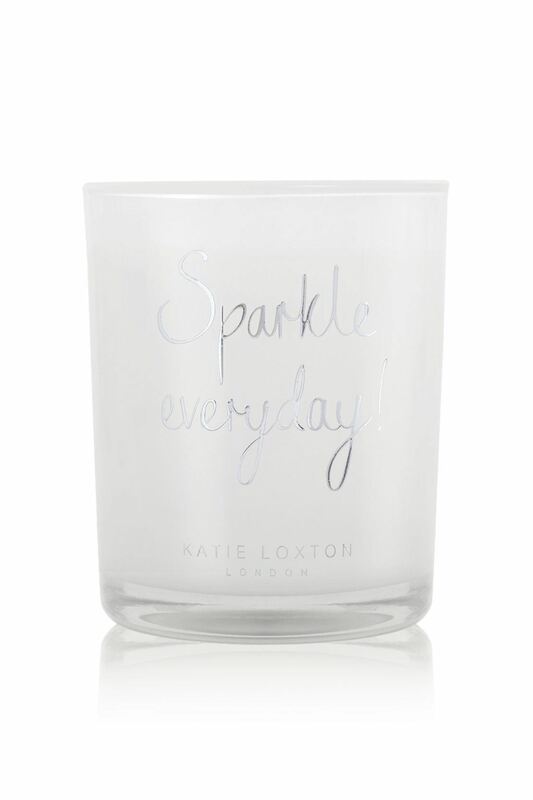 This fragranced candle is part of Katie's ever-growing fragrance range.